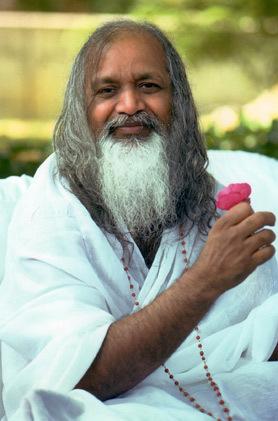 The TM technique is a unique form of meditation introduced by Maharishi Mahesh Yogi. It is designed is to provide the natural experience of transcending—bringing the mind to a state of restful alertness or pure awareness, which revitalizes mind and body and stimulates growth of your full creative potential. The best way to learn more—and the first step in learning the technique—is to attend a free Introductory Lecture. The TM technique is taught only in-person by certified teachers. The course consists of a series of private meetings and classes, followed by further guidance and support as needed (for the rest of your life). For an overview of the seven-step TM course, please click here. Why a Seven-Step Course, Personal Instruction and Follow-up? 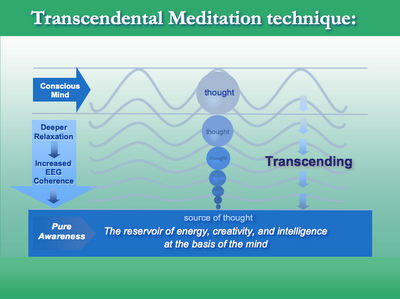 The operative word in describing the Transcendental Meditation technique is transcendental. During TM practice, one transcends: the mind naturally and effortlessly settles inward, away from the surface, active levels of thinking, to more settled and refined levels of the mind, until you experience the silent field of pure awareness or restful alertness, the source of the thinking process. 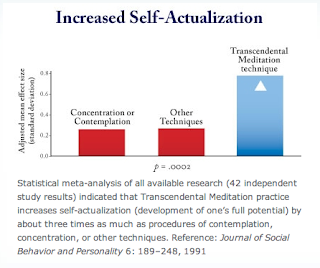 A basic principle of the Transcendental Meditation technique is that this experience of transcending is the primary reason for the TM technique's holistic range of positive effects. 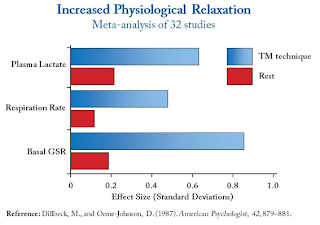 TM practice is designed for transcending, distinct from practices that have other purposes or engage the mind and keep it active or busy in various ways, usually on the more surface thinking levels. 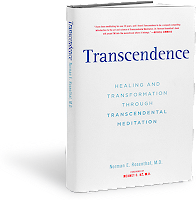 According to physiological research, it is this state of “transcendental consciousness”—a fourth state of consciousness unlike waking, dreaming or sleep—that gives the most profound rest and rejuvenation to mind and body. Hundreds of scientific research studies on the effects of the TM technique support this principle that the experience of transcending produces the widest range of benefits among the variety of meditative states. The process of “effortless transcending” is natural, simple and easy, but also very, very delicate—so delicate that the technique was long lost to society, even throughout the East. When one learns the TM technique, every instruction is given out on the basis of the previous instruction being understood and acknowledged. The certified TM teacher guides the student step by step, adjusting the teaching process according to the pace of the student. 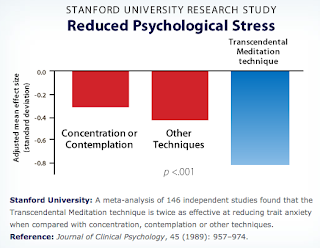 The Transcendental Meditation course, one-on-one support and follow-up is designed to allow each student to gain the experience and understanding they need to correctly practice the TM technique on their own and enjoy maximum benefit in daily life. 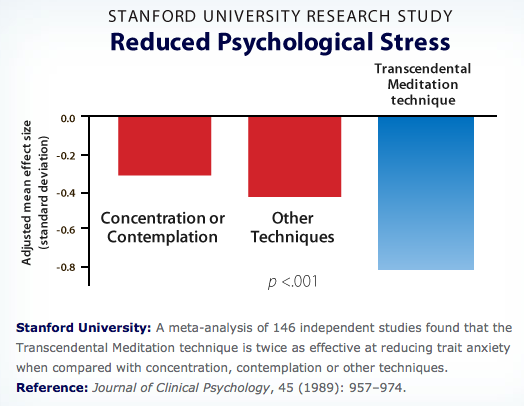 "I started Transcendental Meditation as a child—it's so enjoyable and easy! I continued practicing TM through my teens and credit it for my ability to do well in school, to know my own values and navigate adolescence and adulthood with confidence and clarity. I'm now 45 and the benefits of regular TM practice continue to grow: inner peace, happiness in marriage, creativity and dynamism in my career, good health and youthfulness. TM is a lifelong tool for personal growth and fulfillment." 1. 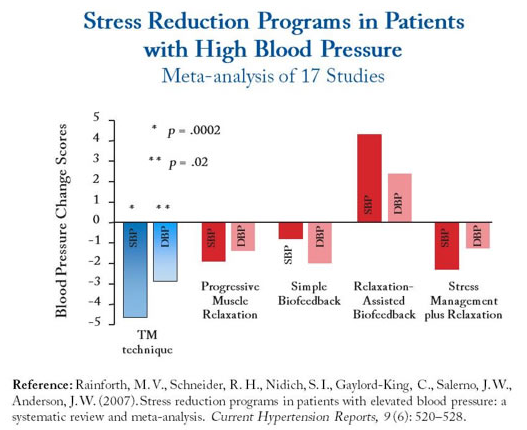 Hypertension 26 (1995): 820-827; Annals of Behavioral Medicine 22 (2000) S133; American Journal of Hypertension (2004); Human Physiology 25 (1999) 171-180; Psychophysiology 31 Abstract (1994) S67; Psychophysiology 26 (1989) 529; International Journal of Neuroscience 13: (1981) 211-217; Psychosomatic Medicine 46: (1984) 267–276. 2. International Journal of Neuroscience 15 (1981) 151-157; International Journal of Neuroscience 14: (1981) 147–151. 3. Maharishi Mahesh Yogi, The Science of Being and Art of Living (New York: Plume/Penguin Group, 1963/2001), p. 35-36.